When you exit the bus at Boquete's central park you will only be a few minutes taxi ride away from our location in Los Naranjos. Here you will find awesome landscapes, authentic culture, and the best access to hiking trails, climbing walls, coffee plantations, mountain biking, and of course the famous Volcan Baru (highest point in Panama). 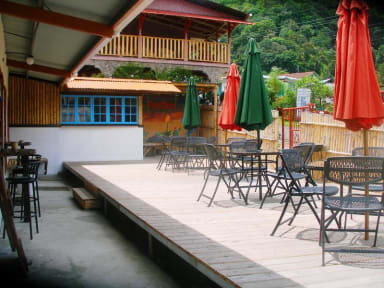 Hostal Nomba is the perfect option if you want to feel serenity of nature coupled with a fun atmosphere. We ARE Boquete's Only Adventure Hostel. For the adventurer, our location coupled with our low prices will help you enjoy your stay in Boquete without breaking your budget. In fact, you do not ever need a taxi...although we do recommend arriving in one since those backpacks and suitcases can make the 25 min easy uphill hike to get here a bit difficult. However, once here, forget taxi's and let us show you how to get to the some of the most exciting attractions and trails, without them...but the way, that includes the volcano! 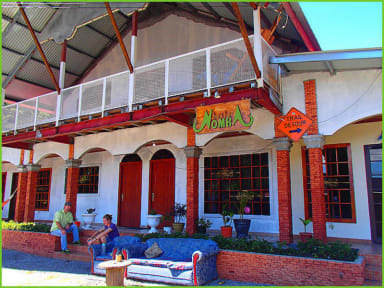 In addition to all these activities we offer others where you can also make your reservations : Tour of coffee, hot springs , ride horses, Tour , Bicycle Tour and Rental , Rental Gear, Kayak , White River Rafting, Sea Kayaking , Surfing, Zipline , Rocklimbing , Bocas Shuttle , David Shuttle , Shuttle Panama city , and as an additional we consist a massage parlor where you can enjoy a pleasant massage. In case of a late cancellation you will be charged the first night of your stay. No Show you will be charged the total of the entire stay. Reception is open from 8:00am to 10:00 pm.